By reading this koob, you will discover that you can find enduring happiness by living fully in the present moment. At the age of 29, Eckhart Tolle had an experience so profound that it completely transformed his life and lifted him out of a long period of depression. It was the start of an inner journey that led him to become a spiritual guide. 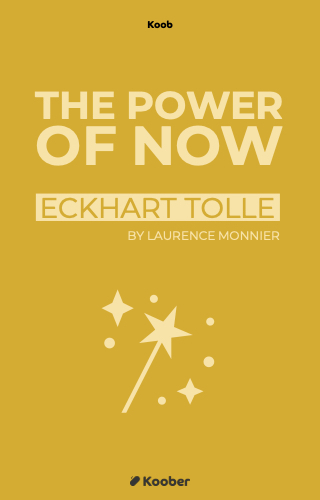 In his book, The Power of Now, he tells his story and shares how you, too, can liberate yourself from the thoughts that weigh you down, free yourself from your mind, and be happy. Tolle notes that he uses words such as ‘Being’, ‘presence’ or ‘enlightenment’ as guides; a means of explaining an undefinable truth. If these words don’t resonate with you, you can replace them with others, or just continue reading without getting caught up on them. Their meaning will become more clear as you progress through the book.